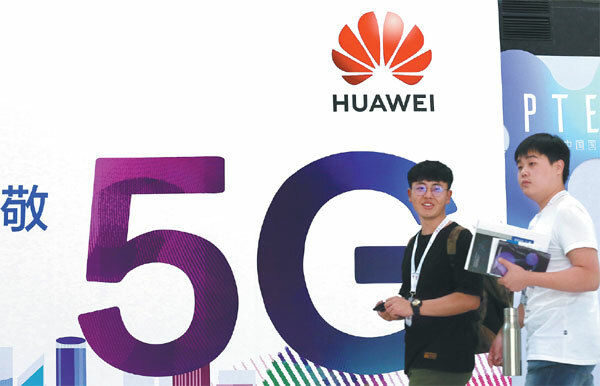 Ren Zhengfei, the 74-year-old founder of Huawei, said in an interview with China’s state television station CCTV that American and European countries would eventually have to buy 5G products from his company as there are limited options. Ren said he’s never worried about Huawei being banned by certain countries from selling them 5G devices but instead has been more focused on serving countries welcome his company. The Chinese telecom giant has been facing intense scrutiny in the West over its relationship with the Chinese government and allegations that its devices could be used by the government for spying. Ren revealed that Huawei has landed 30-plus 5G orders and has delivered equipment for 25,000 5G base stations worldwide. Since the start of 2018, Huawei’s 5G microwave technology has been verified and deployed by multiple operators in Southeast Asia, Finland, and Kuwait. Earlier this year, Canada’s leading phone company Telus sent a memo to employees, stating that “Clearly, Huawei remains a viable and reliable participant in the Canadian telecommunications space” despite the country’s ongoing security review on Huawei and outright boycotts of the company from countries including the United States, Australia, and New Zealand. In addition, Ren hinted at a slightly slower growth for 2019 in his interview with international media. Later leaked information from Huawei’s annual festival showed that the company has set a revenue target of US$125.9 billion for this year, US$65 billion from its consumer business, US$44.1 billion from its carrier business, and US$16.8 billion from its corporate business. As Huawei is still allowed in many countries due to its technological edge and carrier business accounts for about one third of its entire business, the year 2019 will turn out to be a “difficult” but not “the most difficult” year for Huawei, although pressure on it has been mounting. Meng Wanzhou, Huawei CFO and Ren’s daughter, is still waiting for the Canadian legal authorities’ decision on whether to extradite her to the United States on fraud charges.